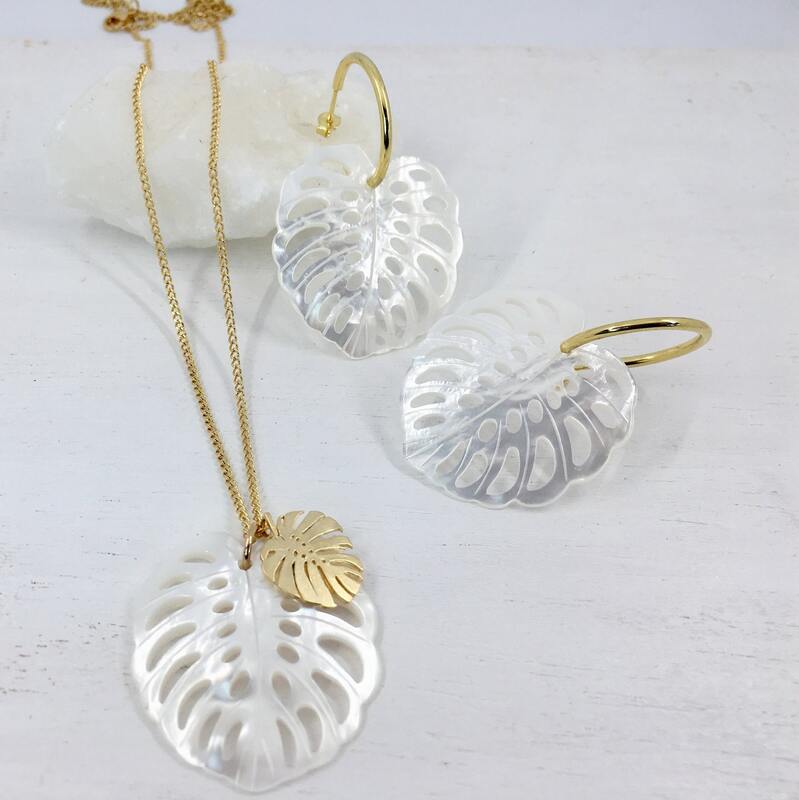 Delicate necklace with a natural mother of pearl pendant, skillfully carved as a Monstera leaf. 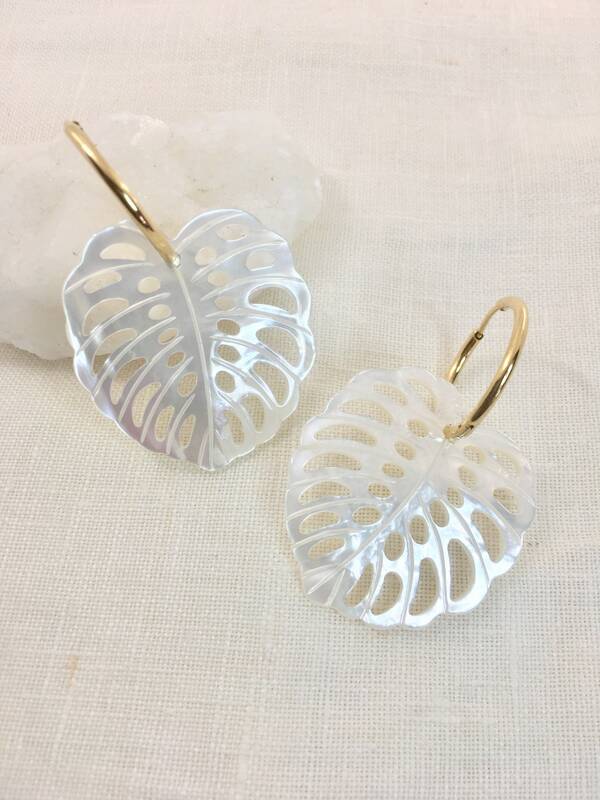 ✦ Gold filled or gold plated chain. 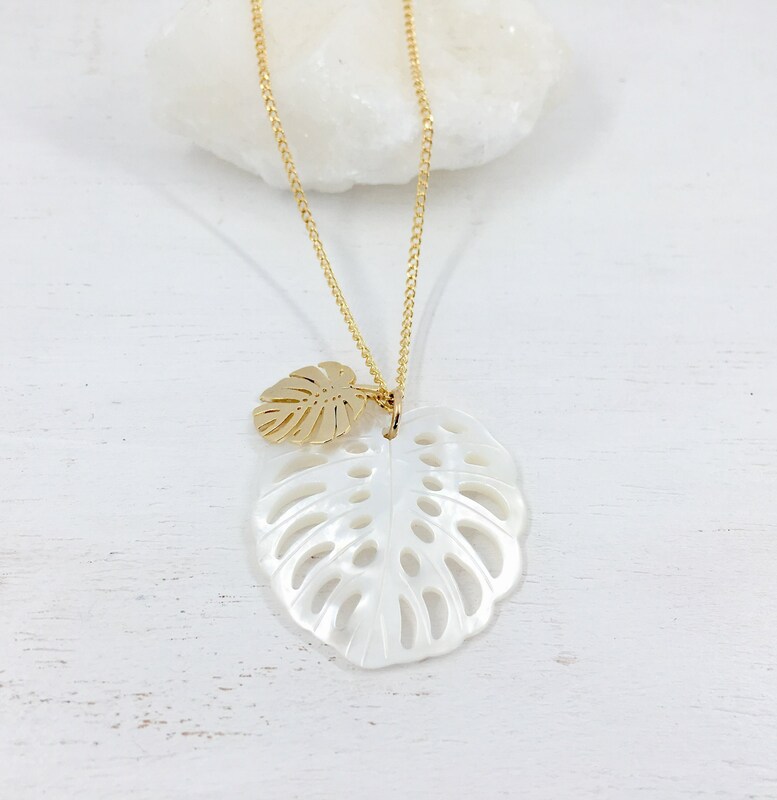 If you have sensitive skin or realli like this necklace and plan to wear it for a long time, we strongly recommend gold filled, which is much harder wearing and lasting than gold plated items. 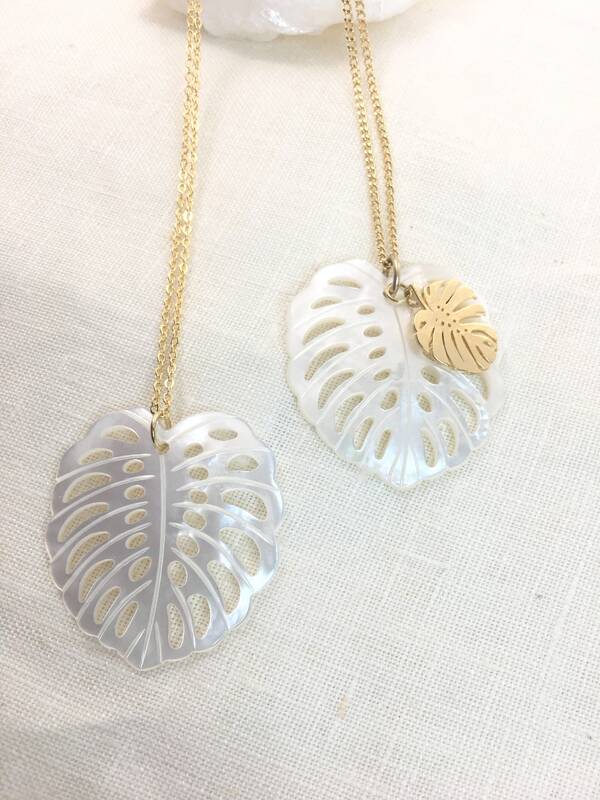 ✦ Single Mother of pearl monstera leaf or Two leafs: Mother of pearl leaf + Gold plated monstera leaf. 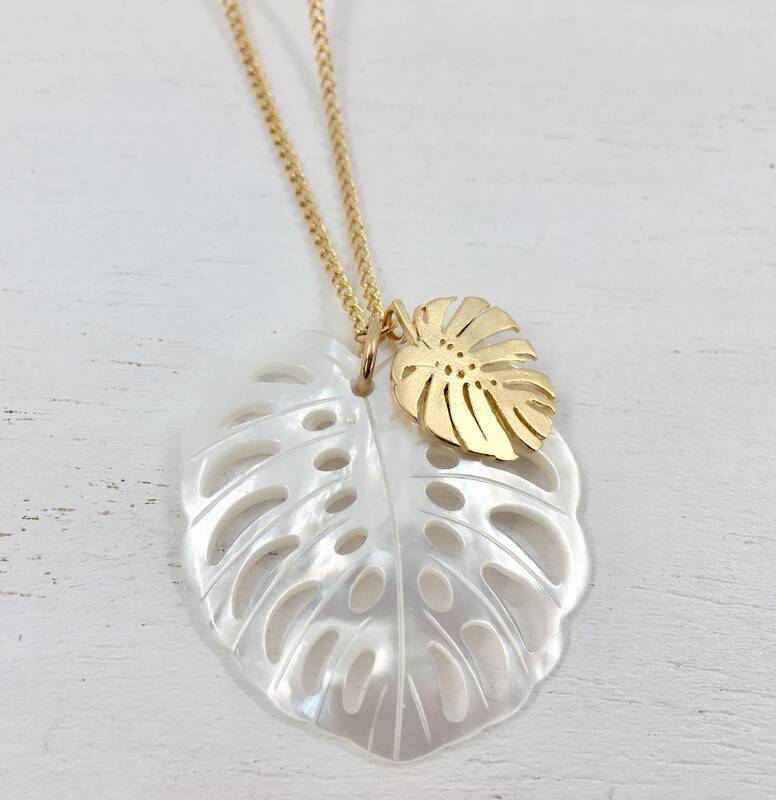 In an effort to bring support to organizations close to our heart and values, our shop will be donating 10% of profits to charities working in the field of human rights, environment, child education and economic justice. 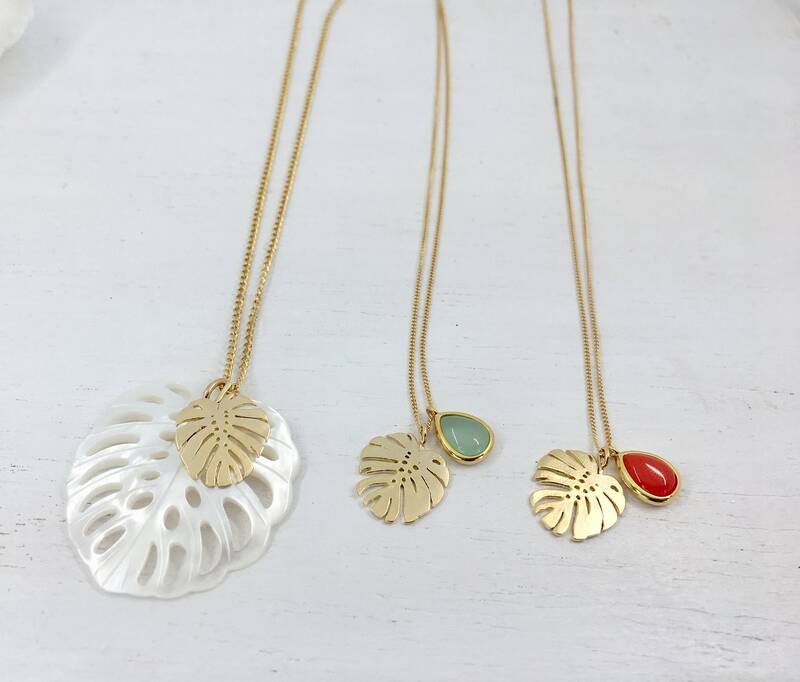 Help us build a better world with your purchase!